It is not often cheapest turf prices and quality turf are offered in the same product, but at Online Turf we’re proud to offer high quality at the cheapest turf prices available on the market. 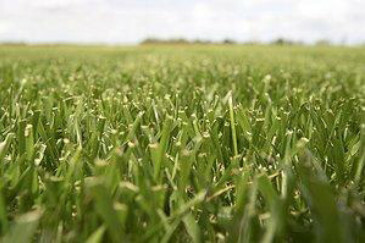 We are able to supply some of the lowest prices around by growing the turf ourselves on our farm in Ormskirk, meaning we can supply direct to customers across the UK. This represents excellent value for money, allowing you to get the cheapest turf prices without compromising on quality. You might like to view our turfcam to see the quality of our turf, or read our feedback to see what other customers thought about our turf. If you’re working on a large project with a tight budget, you’ll need the cheapest turf prices. Occasionally we have a downgraded product available that may suit certain projects; please telephone the office to discuss making the cheapest turf prices available to you. We deliver freshly lifted turf straight to you within 24 hours of ordering during the week, or alternatively at a time better suited to you. We provide a weed-free quality guarantee so you can be confident you are buying top quality turf. If you have any questions at any stage, please use our contact page, email or telephone us on 01695 422144 (fax 01695 424251). We will be delighted to help you.